The time it takes for food to pass from your mouth to your stomach. The length of an average play in the NFL. And, in case you’re counting, the amount of time that has elapsed since you started reading this email. You know what else? Every seven seconds, the Susquehanna River deposits two million gallons of water into the Chesapeake Bay – equivalent to the amount that producers of clean-burning natural gas from the Marcellus Shale withdraw (and pay for) over the course of a 24-hour day. Two-million gallons sounds like a lot, doesn’t it? Well, consider this: All told, the Susquehanna and its surrounding watershed convey more than 26 billion gallons of water through the Commonwealth every single day – which means the two-million gallons associated with the Marcellus in Pennsylvania account for roughly 0.0125 percent of the basin’s total supply. By contrast, 325 million of those 26 billion gallons – 1.5 percent – go toward meeting the general water needs of the state and its citizens; basically the stuff we use for drinking, showering, dishes and laundry. About 150 million more are claimed each day for power generation. And then there’s the 50 million gallons a day used for “recreation.” Think ski slopes in the winter, golf courses in the summer, and Crocodile Mile all year long. “There is no danger the gas industry will drain the basin of its water,” Richenderfer said. … According to Richenderfer, the gas industry is removing about 2 million gallons of water per day from the watershed, though it is permitted to remove 25 to 30 million gallons. That is a drop in the bucket compared to the amount of water flowing out of the watershed at any given moment, he said. As SRBC’s Richenderfer alluded to in his comments above, Marcellus producers are permitted by SRBC to withdrawal as many as 30 million gallons of water a day. So why are they currently only drawing about one-fifteenth of that amount? Glad you asked. For starters, we simply don’t need as much water to do the job these days as might have been required in the past. Chalk that one up to advances in water recycling. Remember: Three years ago, very little of the water being produced at the wellsite was being re-used. Today? Many of the large operators are recycling 100 percent — and across the entire Coalition, that number is nearing 70 percent and rising each month. Trucks drive to a spill-proof concrete pad at the back of the building, hook up to an inbound receptacle and unload the wastewater, which is filtered to remove items such as stones, mud and other debris. The water then is filtered through a silt sack and stored in a lined concrete pit. … According to Larson engineer Quay Schappell, every truck that pulls into the facility has to complete a manifest showing the well from which its load was taken. But of course, recycling is only one-half of the equation. The other key consideration relates to finding the most responsible and sustainable ways to access the water we need without adversely affecting ground or surface reservoirs. 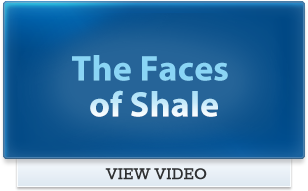 Most folks think that 100 percent of the water used in the development of the Marcellus Shale comes from surface sources like lakes, streams, ponds and rivers. But that’s never been true in the past, and it’s certainly not true today. Just look around the Commonwealth for yourself. A story this week in the Centre Daily Times highlights an effort by MSC member Exco Resources to secure “400,000 gallons per day from the University Area Joint Authority’s beneficial reuse recycled wastewater” – literally taking already-used, about-to-be-discharged wastewater off the hands of local water authorities, and paying them for the right to do it. By using the mine run-off water instead of fresh water resources, Seneca estimates it is saving $120,000 per well it drills. In addition to monetary savings, this method also reduces the truck traffic on the roads, saving wear and tear on roads. It’s too soon to tell what positive effects the removal of mine water will have on the local trout population. Of course, the further east you venture along the Northern Tier, the closer you get to the boundaries of another interstate watershed commission that’s found itself in the news plenty over the past several months. Now we’re talking about the Delaware River Basin Commission (DRBC), which just this week announced yet another delay in promulgating new rules governing the permitting of Marcellus operations in the eastern sixth of the Commonwealth. Previously scheduled to be released in September, and then in October, DRBC now says they’ll be sent around sometime in November. Or maybe later. But you know what? Let’s also give credit where credit’s due. Late last month, DRBC executive director Carol Collier addressed an annual meeting of energy producers in New Paltz, N.Y., using the occasion to dispel the myth that DRBC was anti-Marcellus, and outright dismissing the notion that water withdrawals associated with shale development were of even mild concern to her or her Commission. According to Collier, more than 8 billion gallons of water are withdrawn from the Delaware River watershed every day — for a host of industrial, consumer and agricultural needs. The way the DRBC sees it, Marcellus development has the potential to account for 7 to 13 million gallons of water withdrawn a day – meaning that shale development, at maximum, would account for just 0.15 percent of water usage in the basin. 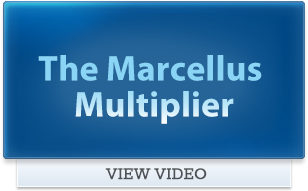 You’ve heard of the Marcellus Multiplier, right? Now meet the Marcellus Rounding-Error. Interestingly enough, some observers predict that eventually producers may able to tap the Marcellus using very little (or perhaps even no) water at all. 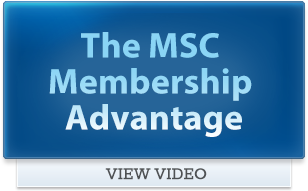 Until then, every single member of the MSC is committed to doing more with less, and applying the best and most innovative technologies available to ensure the water we do use is used right – and secured in the most responsible, sustainable way possible.